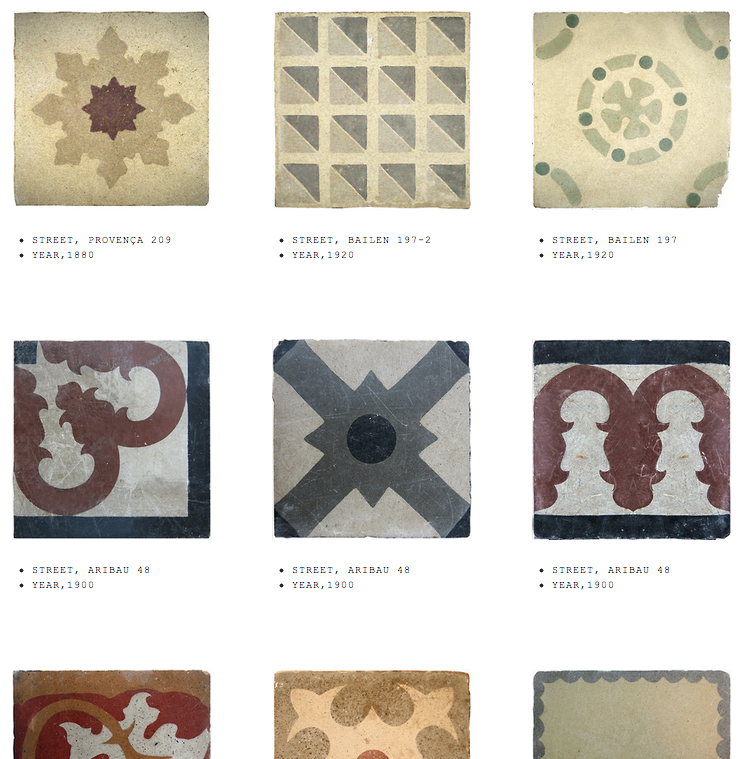 For those of you in love with the Barcelona tiles, check out Alberto Twose’s Tumblr. This is where he publishes his tiles, complete with year of production and location. Alberto Twose is also a man on a mission. At his house he now has more than 400 tiles, all once at the point of being lost and forgotten forever. After rescuing them from the streets, the young architect cleans each tile and restores it to its for­mer splendor. He’s even started a digital catalogue of rescued tiles, each one pinpointed on a Google map of Barcelona!